1. The Site. The content of The Site including but not limited to the fees being charged and any other aspects of The Site can be changed at any time and any additions or changes shall be automatically deemed covered by these terms. The Site or your access to The Site can be terminated at any time by Owner. No such actions shall be deemed a breach or violation of this agreement on the part of Owner. Owner shall not be obligated to provide individual notice to you of any changes to The Site. The term “The Site” includes the entirety of The Site including but not limited to all of the content of The Site, jointly, collectively and individually. If you are a California resident, you waive California Civil Code Section 1542, which says: “A general release does not extend to claims which the creditor does not know or suspect to exist in his favor at the time of executing the release, which, if known by him must have materially affected his settlement with the debtor.” If you are a resident of any other state you waive any similar laws that prevent a full and complete release. 5. Your Promises. In addition to all your other promises, representations and warranties contained in this agreement, you represent and warrant: that you are over the age of 21; that neither the Material nor entering into this agreement by you will impair or violate any rights of any party and that all of the Material complies and will comply with all applicable laws, statutes, regulations of any governmental or other body exercising jurisdiction over this agreement, The Site or otherwise anywhere in the world; that the Material is original with you; that all information contained in the Material is completely truthful, honest and not misleading in any way; and that you shall be solely responsible for full compliance under all state and federal laws, statutes, regulations and similar enactments anywhere in the world regulating this agreement, The Site or otherwise. You further represent and warrant that you shall not seek to hold Owner, or any of Owner’s shareholders, officers, directors, agents, members, attorneys or others liable in any manner for anything that may result from your or another person’s use of The Site. These promises, representations and warranties shall survive the termination of this agreement. 8. Parental Control. Parental control protections (such as computer hardware, software, or filtering services) are commercially available that may assist you in limiting access to material that is harmful to minors. The names of some of those providers or the information that will enable you to access that information about such providers can be found athttp://search.yahoo.com/search?p=parental+controls&fr=FP-tab-web-t&toggle=1&ei=UTF-8 Owner shall not be responsible in any manner as to any aspect of any such parental control protections or otherwise. 10. Miscellaneous. 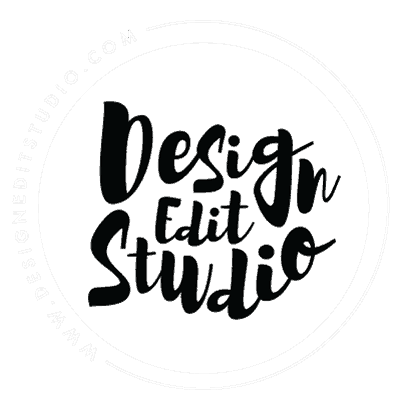 The Site is provided by Owner, who is located at 4293 Hampton Ridge Blvd, Howell, MI 48843-7595, email steph[@]designeditstudio.com and the name of Owner’s agent is Stephanie Fredrickson located at 4293 Hampton Ridge Blvd,, Howell, MI 48843-7595. If you have any complaints about The Site, you can contact Owner at the above email or other address. If you believe your copyright rights have been violated, you should notify Owner’s Designated Agent. Residents of the state of California can obtain additional information about their rights from the Complaint Assistance Unit of the Division of Consumer Services of the Department of Consumer Affairs may be contacted in writing at 1020 N. Street, #501, Sacramento, CA 95814 or by telephone at (916) 445-1254. This agreement shall be subject to and interpreted under the laws of the state of Michigan applicable to agreements wholly to be performed therein as well as the laws of the United States, where applicable. Captions are for clarity sake only and have no substantive effect. This agreement is the complete understanding between you and Owner except that Owner may change the provisions of this agreement by posting such changes on The Site but without any individual notice to you and if you use The Site after such change is so posted, you will be deemed to have accepted such change and such change shall be retroactively made a part of this agreement. This agreement shall bind and benefit each of your and Owner’s respective heirs, assigns and successors in interest but any restrictions on assignment and transfer otherwise contained in this agreement shall otherwise apply. A waiver of any provision of this agreement, or any claimed breach thereof, shall not be deemed a waiver of any other provision or breach. All remedies provided Owner in this agreement are cumulative and the exercise by Owner of any remedy shall be without prejudice to Owner’s exercise of any other rights or remedies available to Owner. Any dispute arising under this agreement shall be determined only by a court of competent jurisdiction only in Howell, Michigan and Owner shall be entitled to injunctive relief. You expressly consent to personal jurisdiction in such state and in such court. In any action under this agreement, the prevailing party shall be entitled to attorneys’ fees and court costs. In the event any portion of this agreement shall be held invalid or unenforceable it shall not affect the validity or enforceability of the rest of this agreement. All of the provisions of this agreement shall survive the termination of this agreement for any reason.